Father’s Day is just around the corner and my husband just mentioned that his razor blades are pretty dull. You know what that means! He’s getting a new razor from our two sons. I know one of them is going to be SUPER excited to give this gift because he’s currently a play-along preschooler, one of the stages kids go through when dad shaves. This post is sponsored by Gillette. Any opinions are 100% my own. If you have sons over the age of three you may have experienced one or more of these stages kids go through when dad shaves. 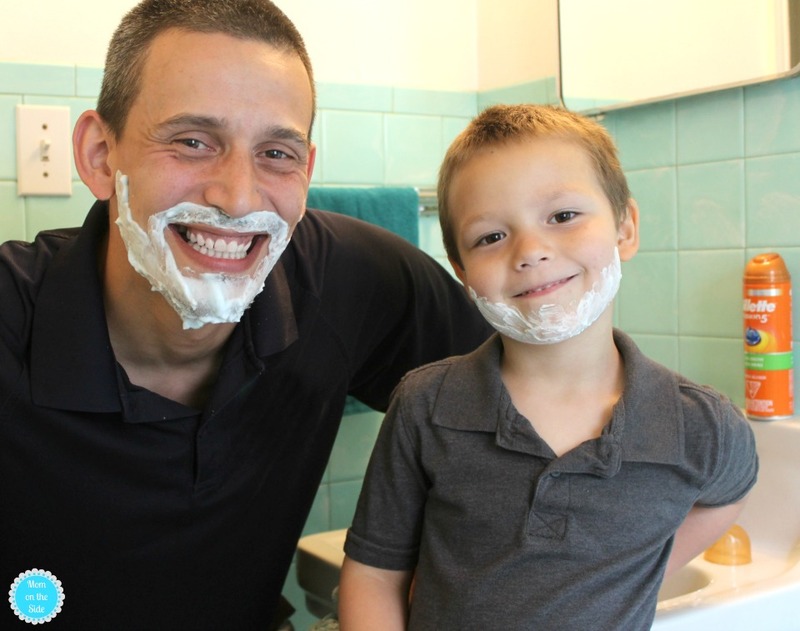 Shaving is one of those rights of passage and bonding moments for fathers and sons. It’s fun to watch their curiosity grow and change regarding facial hair, beginning as young as the toddler years. There comes a point when all of the sudden dad’s shaved face may terrify his toddler. Said toddler may cry and run away to hide when dad descends from the bathroom with a clean-shaven face. When the terrified toddler evacuates their hiding space they’ll inspect dad’s face and ask a million questions about where his hair went. To a play along preschooler, watching daddy shave is a like an episode of their favorite cartoon. Full attention is on dad and moments of bonding sneak their way in like commercial breaks. Little conversations and giggles that make the preschooler feel grown-up and important. This is the stage we are at with one of our twins. 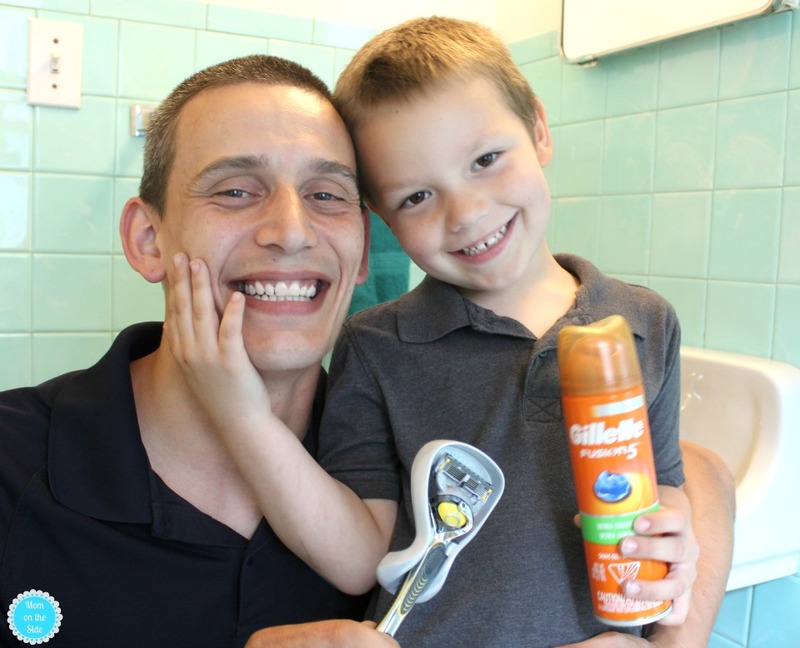 He wants to be a big boy like daddy and loves sitting in the bathroom watching him shave with Gillette Fusion5 ProGlide. 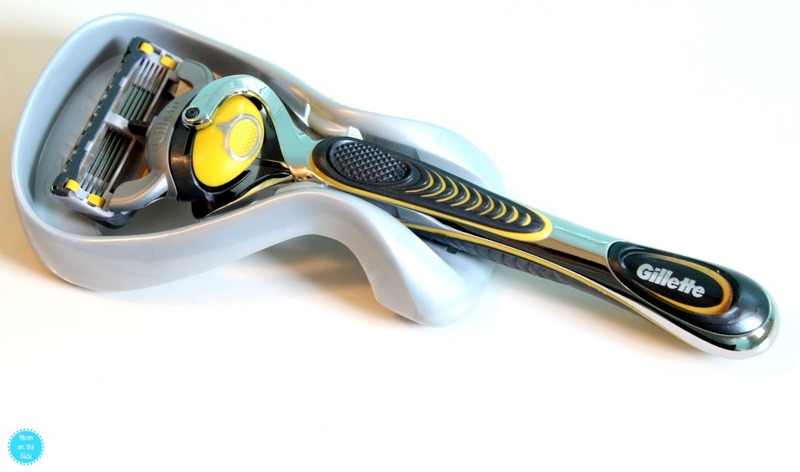 At first, they’d talk about what shaving was and when boys start shaving. Now they usually talk about what they did at work and recess. As kids get older, dad’s stubble becomes scratchy and itchy. They stop burying their face in his neck for hugs and they wiggle away when he comes in for smooches. Granted, some of that comes with growing up but my husband helps prolong those snuggles and kisses with a freshly shaved face using Gillette Razors. At some point during the teenage years, a son will go to his dad for a lesson on how to shave for the first time. One of the great high school bonding moments for fathers and sons and a stage my oldest son will be at before I know it. 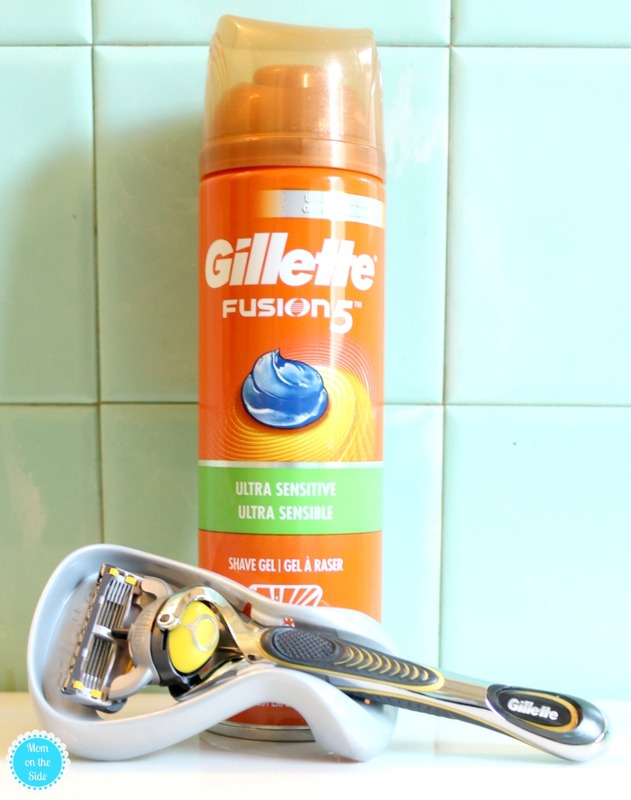 If you know the time is coming you could pick up Gillette Razors, shaving cream, and aftershave. Or plan a father-son shopping trip and pick up what he needs together! 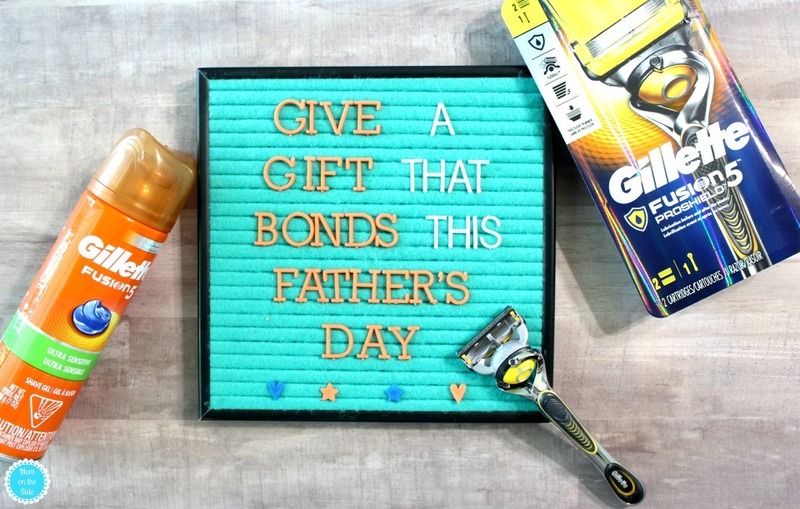 Pick up Gillette Fusion5 Razors on rollback at Walmart this Father’s Day, and give a gift that bonds fathers and sons! This is a sponsored conversation written by me on behalf of Gillette at Walmart. The opinions and text are all mine.